Blowout Sale! Up to 59% off on Wall Plate Screws at Verso Laquila. Top brands include Amerelle, Screw Products, C.R. Laurence, & Jackson-Deerfield Mfg.. Hurry! Limited time offers. Offers valid only while supplies last. 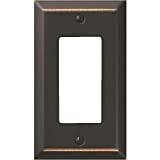 View more products in Wall Plates & Accessories.